I come from Northern Ireland. I'm an Ulster Protestant and I like, respect and identify with my own people. But I'm sure that dialogue is quite typical of what Catholics living in Northern Ireland had to put up with for fifty long years. And I don't see it as a product of any particular badness on the part of the Unionists. It was the entirely predictable consequence of the deliberate policy of the UK government - the imposition of devolved government in the part of the UK that was least suitable for it. The one area of government the Unionists did, indeed had to, take very seriously was security. They knew that their government was unacceptable to the Catholic population, and that there were and always would be people willing to overthrow it by force. In the context of Britain's second war against Germany and again in the period 1956-62 there were IRA campaigns. In fact they had little support in the Catholic population, not because Catholics did not wish to be freed from the prison they were living in but because the machinery of repression was so thorough that they saw no point. That is the most effective sort of terrorism. (9) As in Brendan Clifford: 'Whither Northern Ireland? ', A Belfast Magazine No.36, Feb 2010: 'At the start I wondered why Britain should be so insistent that politics in Northern Ireland should be confined to the communal conflict of Protestant and Catholic. Nobody I discussed it with - and I discussed it with people who were later in government - ever argued that it was a good system, or that normal government was ever likely to arise from it. But in practice they all opted for the maintenance of this system of which they could make no principled defence. I concluded from this that operating behind the scenes in Whitehall there was an understanding that the Northern Ireland system was good for something, even though it was bad for the people of the Six Counties, and that this understanding was conveyed in one way and another to all who hoped to rise in the Westminster hierarchy. What the bad system of Government is good for is the influence that can be exerted on the political life of the Irish state through it ... It has been used effectively to demoralise 26 County politics and shatter Republican historical understanding.' Though true as that last observation is, it is a very recent development, not so true of most the history of the separate Irish state..
(10) Walsh discusses De Valera's Northern policy in Catastrophe, pp.214-20, largely drawing on an essay by Joe Keenan in the Irish Political Review, September 2007. I'm not quite convinced by this argument. I incline still to the position we had in the 1970s/80s that really Westminster would have been happy to rid itself of Northern Ireland. Its ideal, incorporated in the 1920 act, comically called the Better Government of Ireland Act, was that two home rule governments in Belfast and Dublin would eventually coalesce into a single government, well-disposed to Britain. It was however inhibited by the prospect of the sort of resistance that would be mounted by the Protestants. It was one thing to brutalise 'rebels', another to brutalise self-proclaimed loyalists (easy though it may be in far away places such as India). The semi-detached status of Northern Ireland allowed them to wash their hands of the problem in the hope that eventually it would go away. (11) Terence O'Neill's Autobiography, Rupert Hart-Davis, 1972. O'Neill complains that when he took over from Lord Brookeborough he found (I am writing from memory) that there was almost nothing in his office but a desk. I tend to regard this as one of Brookeborough's (no relation, incidentally) virtues. O'Neill had a huge admiration for President Kennedy and his ambition to govern as a President is tangible throughout the book. Walsh in 'Catastrophe' (pp.255-267) argues that this, combined with Sean Lemass's insistence that the Northern Ireland Nationalists (who knew better) should pretend to be a normal 'opposition' in a normal Parliament, contributed radically to the destabilisation of Northern Ireland by raising expectations it couldn't fulfil. 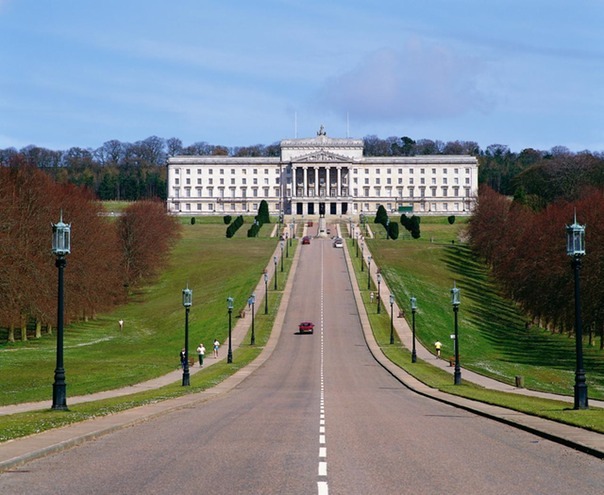 One thing, however, is certain, and that is Westminster's determination to keep Northern Ireland at arm's length, to have as little to do with it as possible. To quote James Callaghan writing about the late sixties when the turmoil in Northern Ireland began: 'The advice that came to me from all sides was on no account to get sucked into the Irish bog'. (12) The people who gave him that advice bear a great deal of responsibility for all the suffering that was to follow. (12} James Callaghan: A House Divided, HarperCollins, 1973, p.15.